Up About Down Board meeting at John McGivney Children’s Centre. 6pm. We are hosting another Tech Talks on Tuesday, February 26th at 1pm. 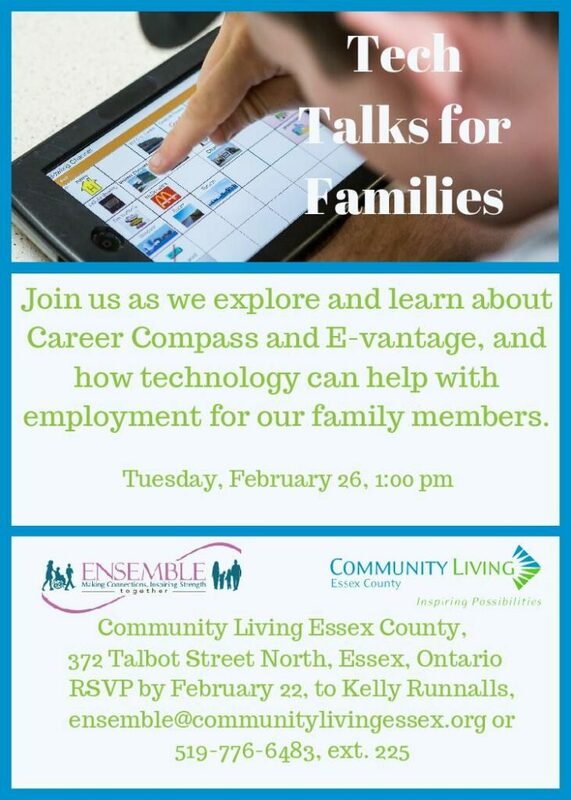 We will be hosting Derek Roy and Amanda Mastronardi of Community Living Essex County to learn about how technology can help our families with employment and discuss Career Compass and E-vantage. 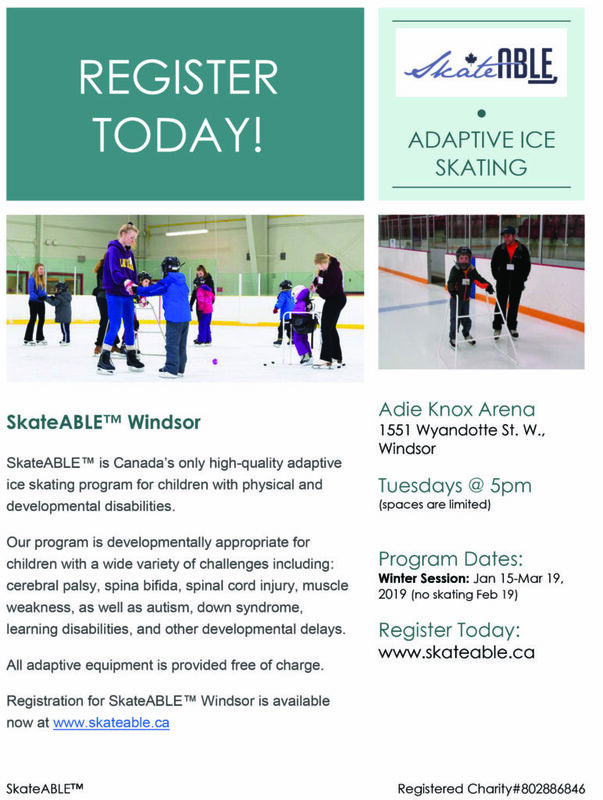 Please RSVP by February 22nd by contacting Kelly Runnalls by phone: 519-776-6483 Ext. 225 or email: ensemble@communitylivingessex.org.